The collection of Tibetan block prints and manuscripts kept at the Institute of Oriental Manuscripts, the Russian Academy of Sciences, is one of the world’s largest collections of old Tibetan texts. Editions of the Tibetan Buddhist Canon and separate editions of some canonical texts comprise a significant part of this collection. Their description is to be presented in the first part of its catalogue. It will consist of four volumes. Volume 1 includes the data on the complete editions of the Tibetan Buddhist Canon kept at the IOM RAS: there are five editions of the Bka' 'gyur and two editions of the Bstan 'gyur. Detailed information on each tome of all these sets, about 1900 tomes in all, is presented. 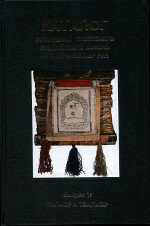 Moreover, Volume 1 contains data on several original Tibetan catalogues and indexes to some of the editions of the canon that are found in the IOM RAS.